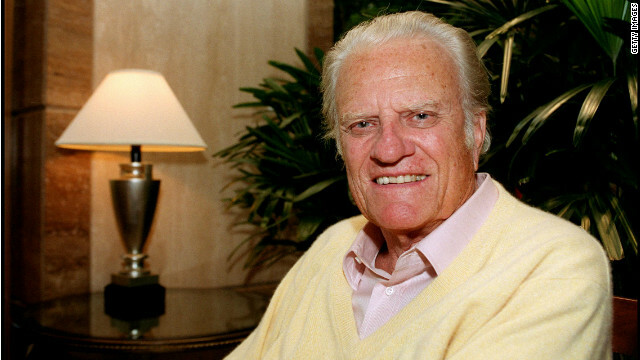 Evangelist Billy Graham — a confidant to presidents, a guiding light to generations of American evangelicals and a globe-trotting preacher who converted millions to Christianity — died Wednesday at the age of 99, his spokesman confirmed to CNN. Graham passed away at his home in Montreat, North Carolina, spokesman Jeremy Blume said. The skinny preacher with the booming voice evangelized to nearly 215 million people over six decades and prayed with US presidents from Harry Truman to Barack Obama. Several presidents, including Lyndon B. Johnson, George W. Bush and Bill Clinton, relied closely on his spiritual counsel. 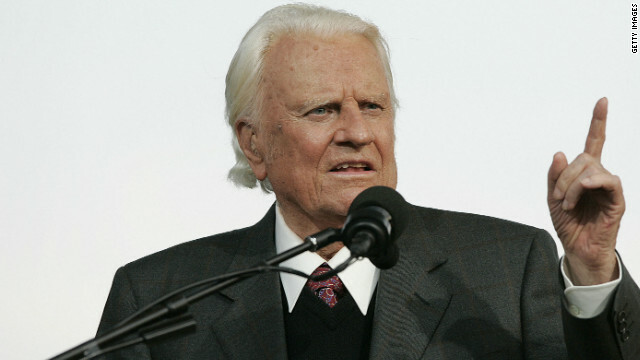 Graham is reported to have persuaded more than 3 million people to commit their lives to Christianity and his preaching was heard in 185 of the world’s 195 countries, according to the Billy Graham Evangelistic Association. A private family prayer service is set for Saturday. 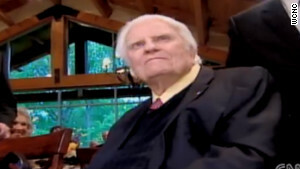 Public viewing and services will be held in the following days, culminating with a March 2 invitation-only service and burial in Charlotte at the Billy Graham Library alongside his wife, Ruth. People across the world mourned Graham’s death. Former President Jimmy Carter said in a statement that he and his wife Rosalynn “are deeply saddened” at the news of Graham’s death and that he was “pleased to count Reverend Graham” as a friend and adviser. Former President George H.W. Bush called Graham “America’s pastor” and said he was a mentor to several of his children, including former President George W. Bush. 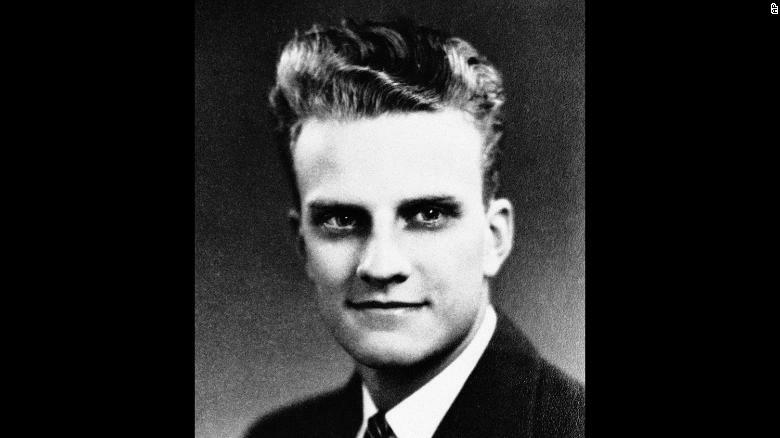 “RIP Billy Graham, a good and faithful servant. He fought the good fight, finished the race, and kept the faith,” US Rep. Ron DeSantis, who represents Florida’s 6th District, said on Twitter. In doing so, Graham formed a bridge between the itinerant preachers like Dwight Moody and Billy Sunday who once crisscrossed the country in search of lost souls and contemporary Christian pastors like Joel Osteen, Rick Warren and T.D. Jakes. 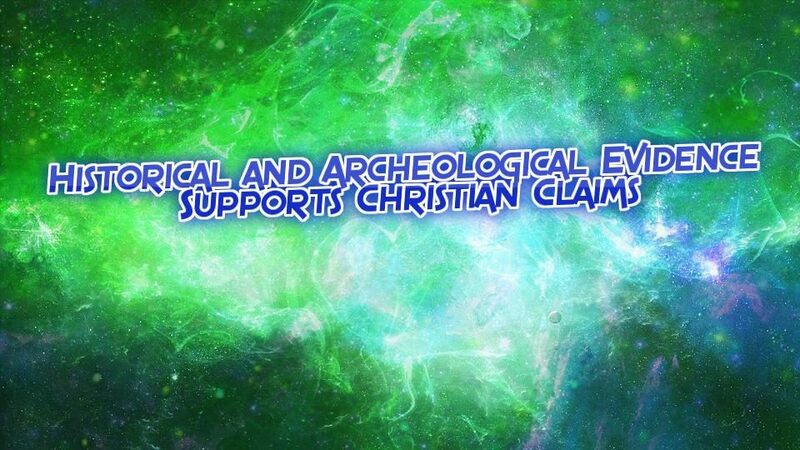 “He saw himself as using new media to deliver a very old message,” said Randall Balmer, an expert on American religious history at Dartmouth College. That message, as Graham said during thousands of altar calls, was that salvation is offered to one and all, black and white, rich and poor, men and women, sinners and saints, so long as they believed in Jesus. Avoiding the types of public scandals that befell other prominent preachers was key to Graham’s long-running success, said Martin. In 1948, at the beginning of his rise to fame, Graham and his tight circle of traveling evangelists gathered in California and catalogued the sins that had destroyed the careers of other Christian preachers. Money, sexual temptation and hubris topped the list. Their pledge to avoid all three came to be known as the “Modesto Manifesto” and was later adopted by other ministers looking to avoid public disgrace. In return for his scandal-free life, Americans regularly put Graham at the top of “most-admired” people polls. In 2013, he tied for fourth among most-admired men with former President Bill Clinton. It was his record-setting 57th appearance in the top 10, according to Gallup. “In my favorite poll, I believe it was the Ladies’ Home Journal, he was chosen second only to God in achievements in religion,” Martin said. Graham was seldom still, holding crusades in more than 80 countries, according to Martin, often for weeks and months at a time. He missed the birth of his first daughter, Virginia, because he was away on a preaching trip, the biographer said. At other times, he failed to recognize his own children because he had been away from home so long. Graham led a 12-week crusade in London in 1954 and a 16-week revival in New York in 1957, which drew tens of thousands to Madison Square Garden. At the time, Graham praised New York’s religious diversity, saying, “Almost every religion you can think of in the whole world is represented.” His “last crusade” in June 2005 in Queens, New York, drew a total of 230,000 people. 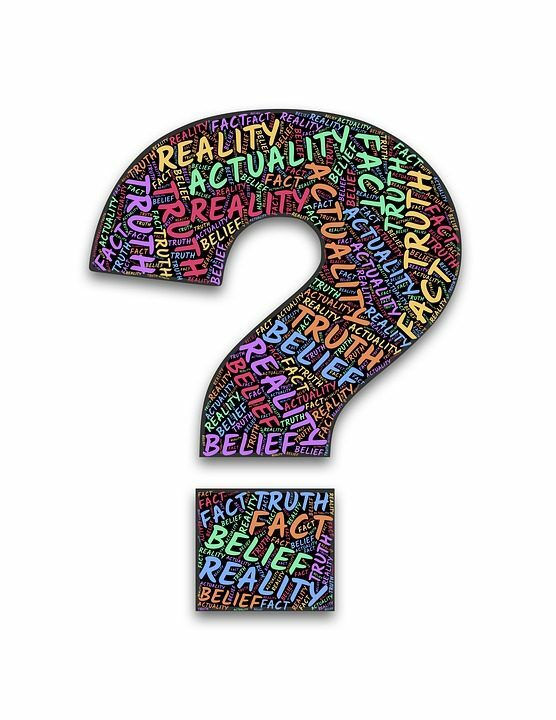 In addition to his traveling crusades, Graham hosted a weekly Sunday radio program called “The Hour of Decision” and wrote an advice column, “My Answer,” that was distributed by Tribune Media Services. In 1956, he founded the magazine Christianity Today, a leading publication among evangelicals. 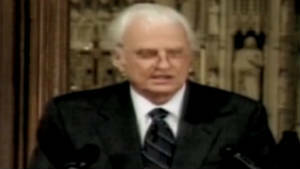 William Franklin Graham Jr. was born November 7, 1918, and raised on a dairy farm near Charlotte, North Carolina. He said he made a personal commitment to God in 1934 after hearing an evangelist preach in the Southern city. While in Florida, Graham met relatives of V. Raymond Edman, president of Wheaton College in Wheaton, Illinois. After they told Edman how impressed they were with Graham’s preaching ability, Edman arranged for him to attend Wheaton. Graham graduated in 1943 with a bachelor’s degree in anthropology. At Wheaton, he met fellow student Ruth Bell, his future wife. She was the daughter of the Southern Presbyterian missionary and surgeon L. Nelson Bell, and Ruth had spent her childhood in China and Korea. The couple married in 1943 and moved to Montreat, North Carolina, two years later. 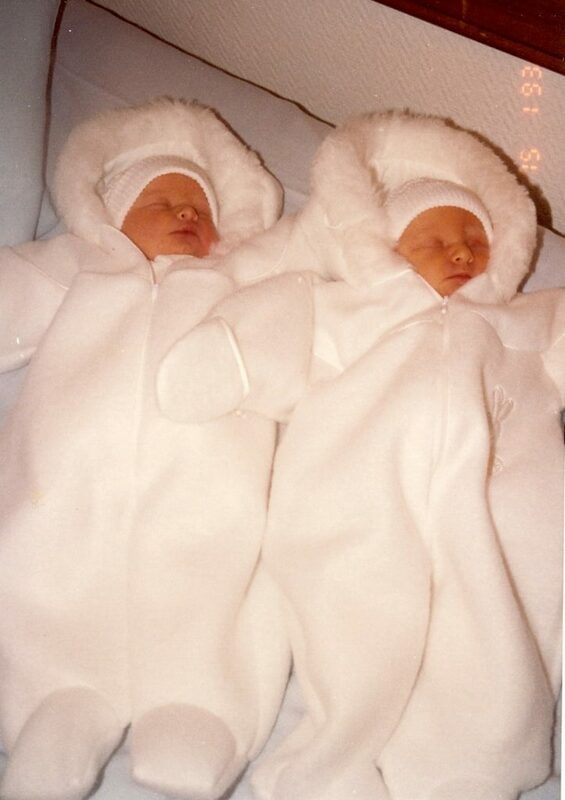 They had five children: Virginia Leftwich, Anne Morrow, Ruth Bell, William Franklin III and Nelson Edman. 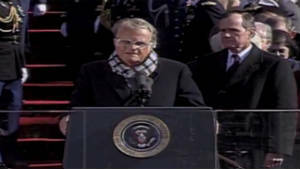 Graham was said to have enjoyed the recognition that came with providing counsel to several U.S. presidents, and he also became a de facto chaplain to Washington’s elite. Graham urged Dwight Eisenhower to run for president in 1952 and served as an unofficial adviser to the former general after he was elected. He also became close friends with President Lyndon Johnson and preached at the former president’s funeral. President George W. Bush credits Graham with helping him change from a lukewarm Christian with a fondness for beer to a serious and committed evangelical. Critics accused Graham of becoming too involved with politics. His association with President Richard Nixon led to embarrassment in March 2002, when tapes of private conversations between Nixon and Graham revealed the evangelist joining the president in making anti-Semitic remarks. Graham apologized. “After Watergate, Graham understood that he had been used to support Nixon and his policies when the White House was more interested in his support than his love,” said Martin, the biographer. Some critics also charge that Graham was not active enough during the civil rights movement. 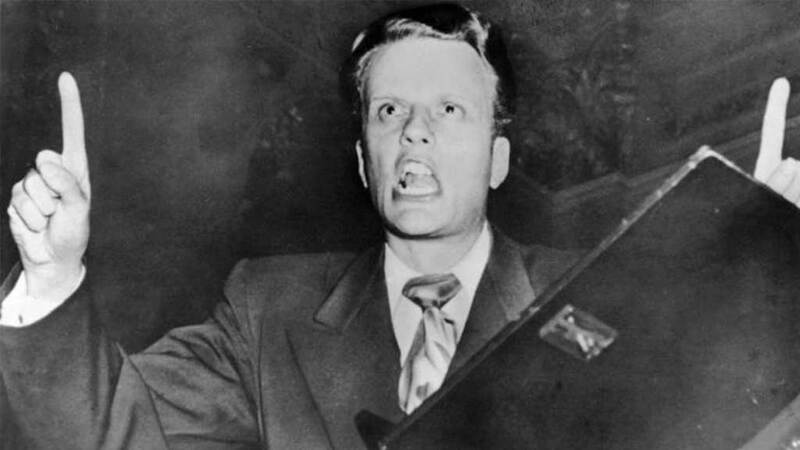 But during at least two crusades in the early 1950s in Tennessee and Mississippi, Graham literally removed the racial barrier — taking down the ropes that separated blacks and whites — according to Martin and Cliff Barrows, Graham’s longtime music and program director for the Evangelistic Association. At his Madison Square Garden crusade, Graham asked the Rev. Martin Luther King Jr. to deliver a prayer. Although Graham preached that racial segregation was unbiblical, he was criticized by some civil rights leaders for not being more involved in the movement. Among the honors bestowed on Graham were the Presidential Medal of Freedom, the nation’s highest civilian award, in 1983; the Congressional Gold Medal in 1996; and an honorary knighthood from Britain for his contribution to civic and religious life. Former Presidents Clinton, George H.W. Bush and Carter were on hand for the dedication of the Billy Graham Library in Charlotte in June 2007. In addition, the Billy Graham Center on the campus of Wheaton College has an archive, museum and library dedicated to the study of evangelism, as well as an Institute of Evangelism and other efforts aimed at promoting evangelistic work throughout the world. In 2005, Graham opened up to CNN about his wife, Ruth. “I don’t think I could have ever married anybody that would have been more helpful to my work and ministry than she has been,” he told Larry King. She died in 2007 at the couple’s home in Montreat. Ruth Graham was buried at the foot of a cross-shaped walkway in the Prayer Garden on the grounds of the Billy Graham Library. 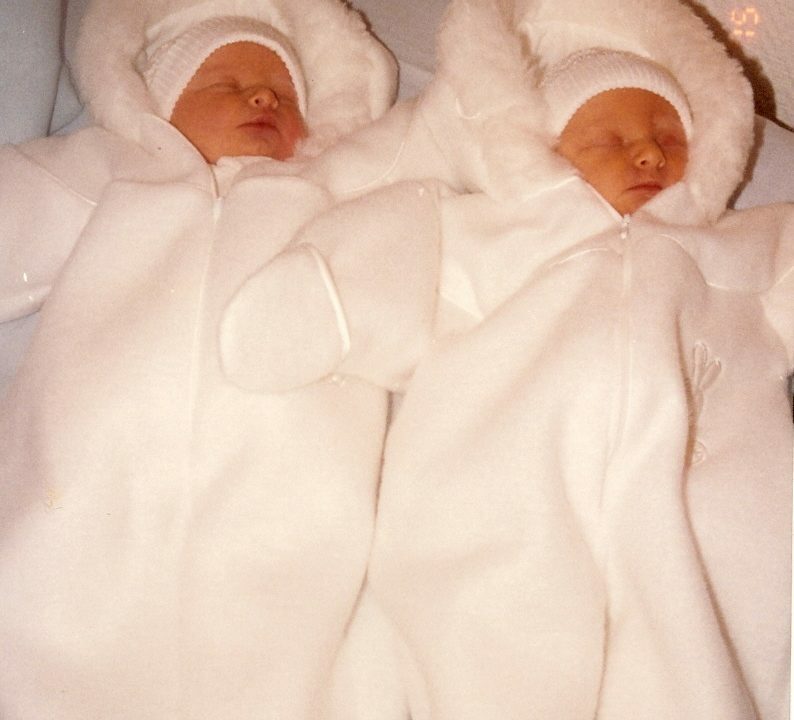 The couple had agreed that they would be buried side by side.